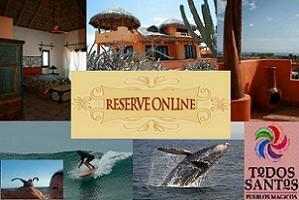 CalyCanto is pleased to offer surfboard rentals in Todos Santos, Cerritos and San Pedrito. After we each had to pay $400 on American Airlines for bringing 2 boards down and back, we realized we needed another solution. We’ve secured a partnership with locals and now have over 50 boards to choose from, including soft tops, boogie boards, fins and high performance boards! 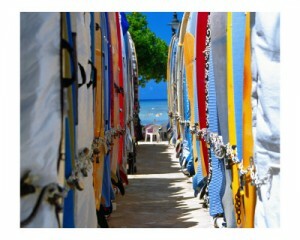 We can also arrange for surf lessons, wetsuit rentals, surfari guides and ding repair. We’re happy to help you meet all of the needs of your trip so you can pack light and not worry about the cost of bringing a board or it getting damaged. A rental agreement and deposit is required. You are responsible for any damage to the board. For more information, contact us by clicking here. If you already have accommodations, ignore the information relating to renting one of our casitas.